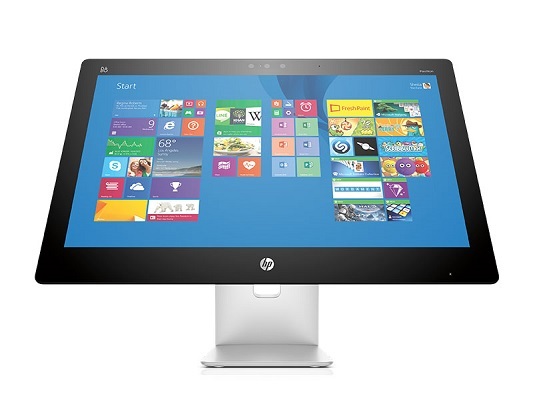 The HP Pavilion All-in-One PCs are design to be a focal point in the home for creation, sharing and immersive entertainment. They feature an edge-to-edge full high-definition flush glass display with a white iridescent color and a white dot pattern on the back. 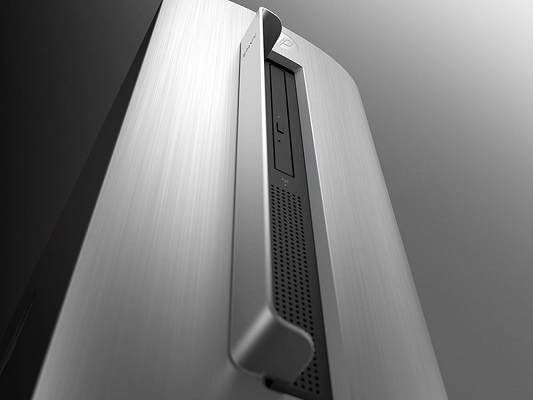 HDMI Out allows for the connect to a second display or TV, and there’a also two USB 3.0 ports and a 3-in-1 media card reader located on the display chin, with more on the back. Customers can choose between Intel Celeron or Core i3/i5/i7 or AMD processor options Up to 3TB of storage is available, and models come with 21.5-, 23- and 27-inch diagonal IPS full HD displays. 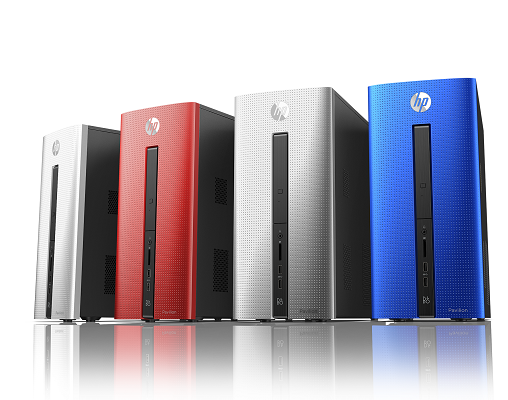 Designed for everyday productivity and entertainment, the HP Pavilion Tower model family features a vertical oriented design available with new Blizzard White, Natural Silver, Nobel Blue and Sunset Red looks. 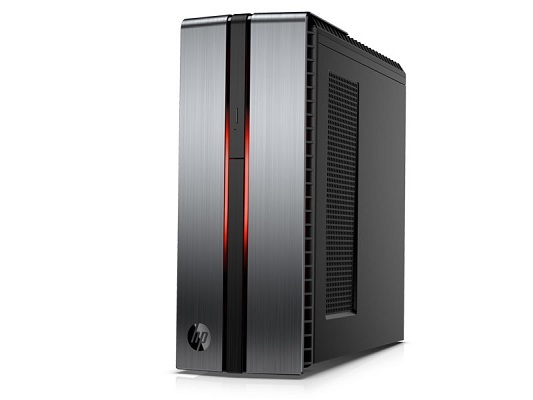 With a variety of flexible configuration options, buyers can choose between fourth generation Intel Celeron or Core i3 through i7 processors and next generation AMD A-Series A4 through A10 processors and integrated graphics up to Nvidia GTX 745. 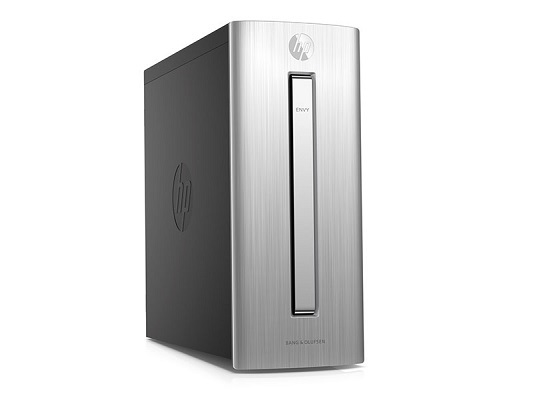 Up to 3TB in hard disk drive storage is available, and the tower includes at least two USB 2.0 ports, up to four USB 3.0 ports, HDMI, DVI (Intel), VGA (AMD) and a 7-in-1 media card reader. The HP Spectre Studio Display is designed to complement HP’s new desktops with an immersive experience that allows users to do more than one thing at a time, such as comparing two spreadsheets at the same time or watching a movie while checking Twitter. 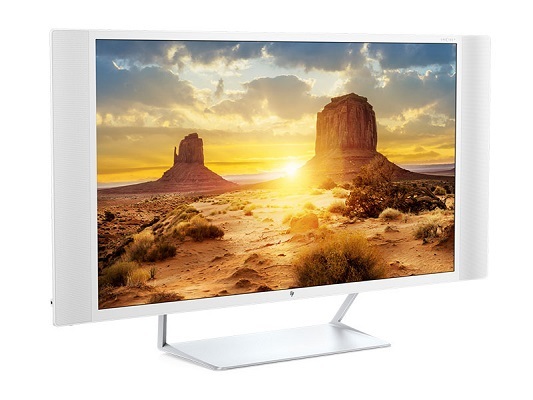 The 32 inch diagonal UHD 4K resolution (3840 x 2160) display has a 178 degree ultra-wide viewing angle and can upscale content HD, Full HD and Quad HD. For sound, there are dual front 6-watt speakers and two rear passive radiators to enhance the bass. For connectivity, it comes with HDMI 2.0, HDMI 1.4 with MHL,Display Port and a USB port. Can video games improve your jump shot?